Only 2 more victories to get Bowl bound! Josh Lambert’s 34-yard field goal in overtime gave West Virginia a 30-27 victory over TCU in Big 12 Conference football action Saturday afternoon at Amon G. Carter Stadium in Fort Worth, Texas. It was the third field goal of the game for Lambert, the Garland, Texas, resident making his Lone Star State return. West Virginia appeared to have the game in hand with 7:11 left in the fourth quarter after taking a 27-17 lead, but TCU followed the same formula as last year to nearly pull it out in overtime. Last year in Morgantown, TCU (3-6, 1-5) came back from 10 points down to win the game on a two-point conversion in the second overtime. Today, the Horned Frogs couldn’t close the deal, mainly because they couldn’t hold on to the football. 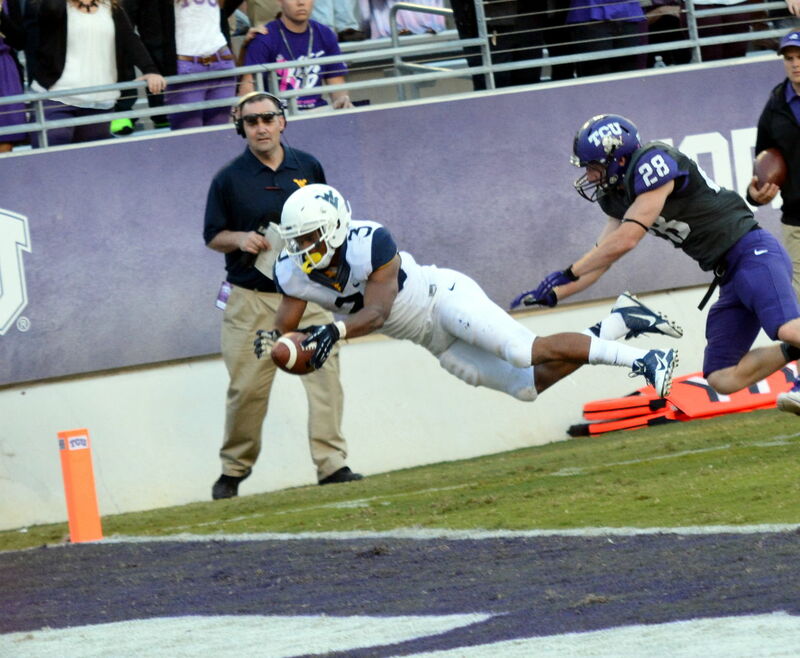 West Virginia was able to score 24 unanswered points because of it, yet TCU almost overcame a miserable five-play stretch midway through the fourth quarter to tie the game at the end of regulation.